The BakerMaker Silicone Baking Cups are fun, colorful and reusable. BakerMaker Supply Company Baking Cups are reusable, non-stick, dishwasher safe, FDA approved. Liven up any of your occasion with cheerful silicone baking cups. These bright, bold and beautiful lined paper cups come in a variety of striking colors which makes the presentation of cupcakes, muffins, or party snacks friskier and lively. BakerMaker Supply Company is committed to delivering you the best in baking gift ideas. These silicone cupcake liners are another addition to our list and it will definitely be a good addition to your pantry too. The Vibrant Collection includes bright colors: pink, yellow, orange, red, green and blue. Baker Maker silicone cupcake molds make a perfect gift for your Mom, Grandmother or Wife for Holidays, Christmas, Birthday parties, any family get together, Dinner Parties and more. 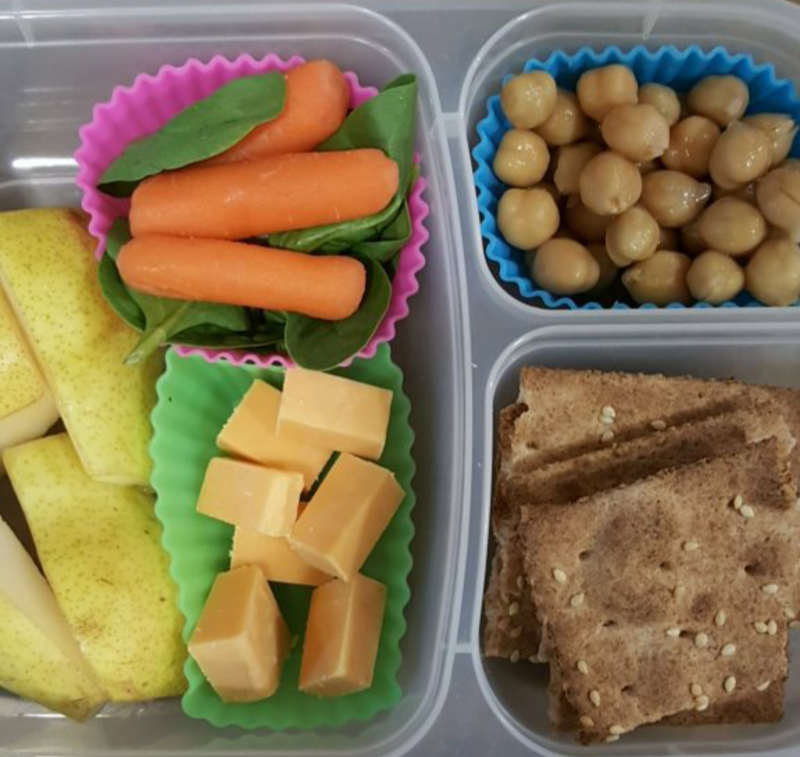 Use to brighten a child’s lunch box to separate foods and snacks. Find creative ways to use our BakerMaker Supply Company silicone baking molds to create delicious and beautiful looking homemade cupcakes, brownies, chocolate shell-lined desserts, muffins, cheesecakes, chocolate and snack bowls, gelatin, frozen treats such as mini ice cream cakes, even the frozen baby food, fruit and snack bowls, etc! Many customers even use these molds in unique ways to create candles, soaps, resins and more. The sky is the limit to your creativity with these amazing and beautiful cupcakes liners. BakerMaker Supply Company’s baking eco-friendly baking cups are constructed with 100% pure, premium quality non-stick food-grade silicone, meeting USA FDA and European LFGB safety standards which means that these silicone cupcake liners are BPA, PVC, and Phthalate FREE. No harmful chemicals can now spoil your muffins and cupcakes now. Easy to use! No muffin pan is required. Just fill liners, place on a baking sheet and bake. Allow cooling before easily removing the flexible Silicone cups. Use cooking spray lightly before filling if desired for better results. Simply transfer your favorite recipe in the cup, prepare, and cool completely. Then turn it upside down, this flexible silicone cup offers a non-stick surface that allows the baked goods to pop right out with a little push from the bottom. 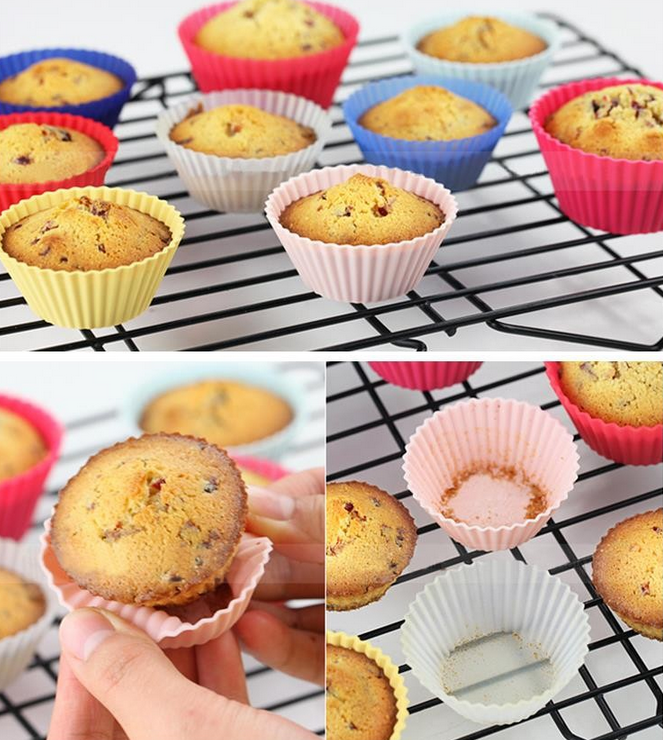 Remember to place the silicone baking cups on a baking sheet for easier positioning and removal. Save your money by eliminating the need to EVER buy disposable paper liners again. Safe to use in the Oven, Refrigerator, Freezer, Microwave, and Dishwasher. Top rack dishwasher safe, but hand washing is recommended to extend the life of the product. Processing time: Order verification, tailoring, quality check, and packaging. Your order will be dispatched within 24 hours of purchase. The manufacturer and China Post process the orders, which takes an additional 2–5 days.